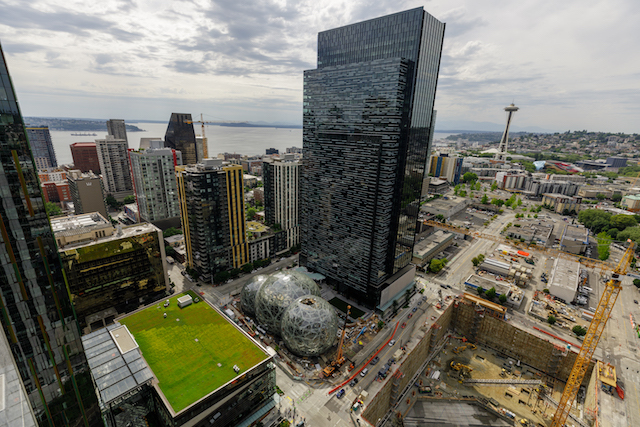 Amazon's headquarters campus in Seattle, Wash.
Is Richmond’s large millennial population, lack of traffic congestion and affordable cost of living enough to attract Amazon’s second $5 billion headquarters? 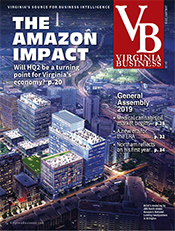 What about Northern Virginia with its public transit and plan to offer the world’s largest online retailer a 26-acre, state-owned site close to an international airport? 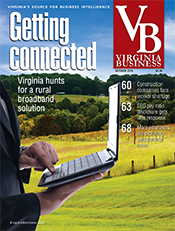 Virginia Beach, viewed as the dark horse in Virginia’s quest to nab the massive project, says its access to transoceanic cables and fast internet speeds will make its bid stand out. With Seattle-based Amazon planning a second, 8 million-square-foot headquarters that would employ 50,000 people in jobs paying $100,000 a year, cities across North America are competing in a frenzied corporate Olympics to land the deal. Amazon announced on Sept. 7 that it would accept bids in response to a request for proposal that included a site-specific list of criteria. The list includes access to mass transit, a tech-savvy workforce and a location close to a metropolitan area with more than 1 million people. The site also would need to be within 30 miles of a city center and 45 minutes from an international airport. The deadline for submitting bids is Oct 19, with a decision expected sometime next year. 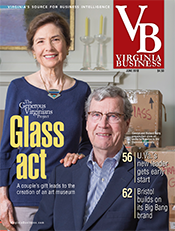 Washington, D.C., and Arlington, Alexandria, and Loudoun and Fairfax counties in Northern Virginia are all expected to throw their hats in the ring along with the Richmond region and Virginia Beach. 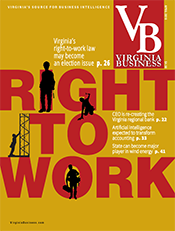 These areas have been working on recruiting packages with help from multiple third-party consulting firms retained by the state’s Virginia Economic Development Partnership (VEDP). One of the consultants is McKinsey & Co., a well-known global consulting firm. 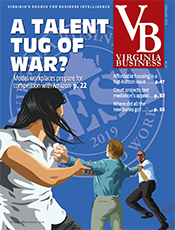 “This strategic planning work will support a variety of current and future corporate headquarters recruitment projects,” says Stephen Moret, VEDP’s president and CEO. Other than saying that Virginia has a “keen interest” in the Amazon HQ2 opportunity, Moret refuses to comment on specific packages from Virginia localities. While each locality hopes to win the billions of dollars in new investment and tax revenues that would come with recruiting the world's largest online retailer, individual jurisdictions are banding together to compete as regions to showcase their most attractive amenities. 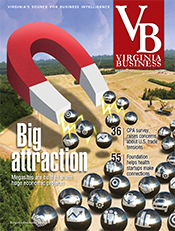 For instance, several news organizations in Northern Virginia reported that members of the Fairfax and Loudoun boards of supervisors will propose the Center for Innovative Technology (CIT), a 26-acre, state-owned site adjacent to Washington International Dulles International Airport as a possible site for Amazon. While NoVa economic development officials refused to comment on specifics, the CIT site – valued at around $30 million – would be offered to Amazon along with two privately owned parcels and subsidies from both counties, according to a story in The Washington Post. (Amazon founder Jeffrey P. Bezos owns the newspaper.) Other sites that have been mentioned include locations in Crystal City and the Rosslyn-Ballston corridor, which recently landed Nestle's U.S. headquarters. 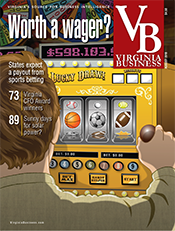 Some commercial real estate officials think NoVa has the best chance in Virginia at winning the Amazon project because it meets more of the criteria. Yet there are naysayers. Dan Clemente, chairman and CEO of Clemente Development Corp. in McLean, isn’t convinced that Amazon HQ2 would really be an attractive deal. “It all sounds good, but it’s not a good deal. It’s a great deal for Bezos,” who’s in the hunt for major economic incentives and tax breaks, Clemente says. Shortly after Amazon’s September call for proposals, Clemente says he was contacted about a prime 7.4-acre site his company has under contract to purchase in Tysons. The land is adjacent to the Spring Hill Metro station. Clemente’s company has submitted plans to build a 48-story building that would be the tallest tower on the East Coast. It would be part of a 2.8 million-square-foot mixed-use project. 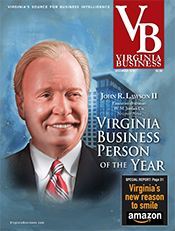 “We were approached to use our site at Tysons for the project. We could add ground and easily accommodate 50,000 jobs, but it’s not financially feasible in terms of the incentives that Amazon would want,” which Clemente says are in the neighborhood of $2 billion. “I said I was not interested in chasing that,” he says. Another concern, he says, is that some communities would be hard pressed to provide services, such as schools and affordable housing, for an influx of 50,000 new workers. Such concerns don’t seem to be dampening the mood in the Richmond area, which is fresh off a major economic development victory. Facebook announced in October that it would invest $750 million in a 970,000-square-foot data center in the White Oak Technology Park in Henrico County. The project is expected to create thousands of construction jobs and more than 100 full-time operational jobs once the center is operational. Barry Matherly, president and CEO of the Greater Richmond Partnership, says Facebook’s project is a “stamp of approval” for the region when it comes to innovative technology firms and will boost Richmond’s profile in the quest to win Amazon’s second headquarters. 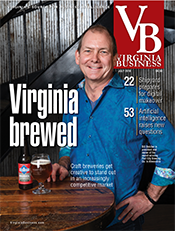 “Anytime you bring in top-tier innovation companies that builds the brand of the region,” he says. “Facebook clearly ups our profile, there’s no question about that,” adds Gary McLaren, executive director of Henrico’s Economic Development Authority. White Oak has sites with good fiber, water and dual-feed electricity, meaning power that supplies the park from two major lines. “That’s what attracted Facebook and perhaps could attract Amazon and others,” says McLaren. According to McLaren, the Richmond region will submit “a regional bid with more than one site, but I don’t know what that ends up looking like.” He would not comment on specific sites. 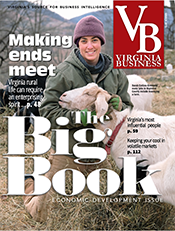 According to the Richmond Times-Dispach, the Richmond region plans to propose three sites: Tree Hill Farm, a 500-acre historic farm along Route 5 in Henrico County; a 60-acre, city-owned site on North Boulevard in Richmond that includes The Diamond baseball stadium and an 160-acre undeveloped site in Chesterfield County that borders the Powhite Parkway and Chippehanm Parkway. It was considered years ago as the location for the Stony Point Fashion Mall. That project ended up at another close-in city spot, off Chippenham Parkway. Richmond is viewed as a second-tier city in comparison to a major metropolitan area such as Washington, D.C. Nonetheless, McLaren says that difference could work in the Richmond area’s favor. “We’re an easy place to attract employees because of our education, K-12 as well as higher education, as well as ouir cost of living. We don’t have the congestion of larger metro areas. We’ve got a lot going for us,” McLaren says. 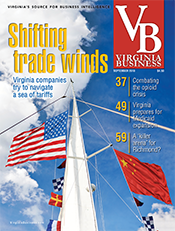 Andrew Florance, the CEO of CoStar Group, is a big fan of Richmond. His Washington, D.C.-based real estate data analytics firm selected downtown Richmond last year for a new research operation. Florance says the company has been able to recruit the workforce it needs to fill more than 600 positions, with local colleges and universities providing a pipeline of millennial talent.